New Essegi Regina - Picture heavy! Home to my 6 boys. Just filled up hence a bit sparse. One picture shows size of my old Jenny next to it. I'm waiting on three more of the (black) wooden shelves to plasticote and go in. 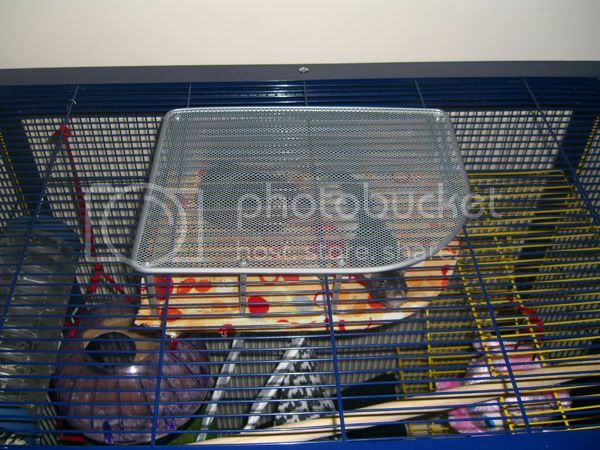 My family is complete but cage should hold 21+ rats according to calc. 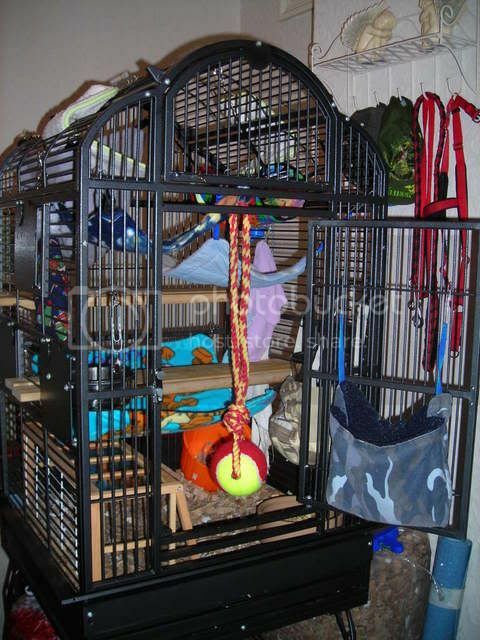 This is Amber and Rosie's cage. 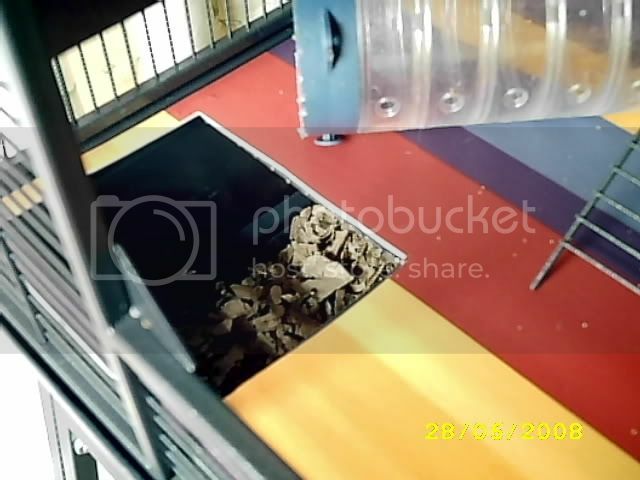 They're very lucky little ratties! It's 130 x 60 x 90cm approximate inner dimensions. More than enough for the two of them to scamper about. They've got loads of toys to play with, mostly home made. Here's their big wooden church/castle type thing they run through with internal levels. This was made from an old wooden box. 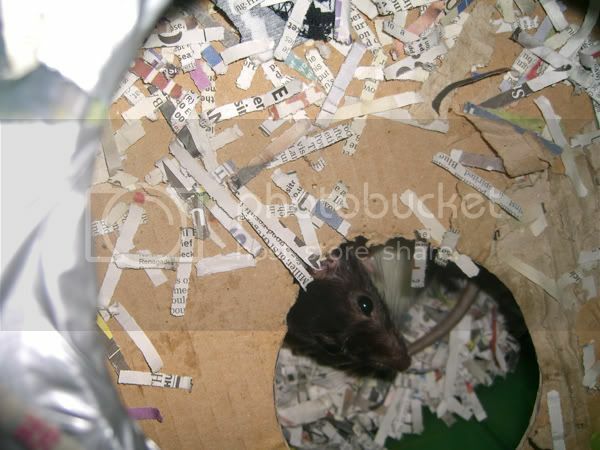 Up at the top there's a ratty penthouse made from a metal desktop paper tidy with a soft homemade lining. 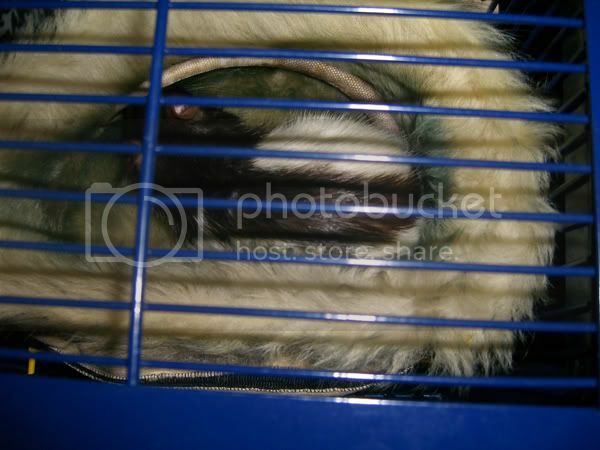 I bought some ratty balls a while back but the girls hated being put in them. 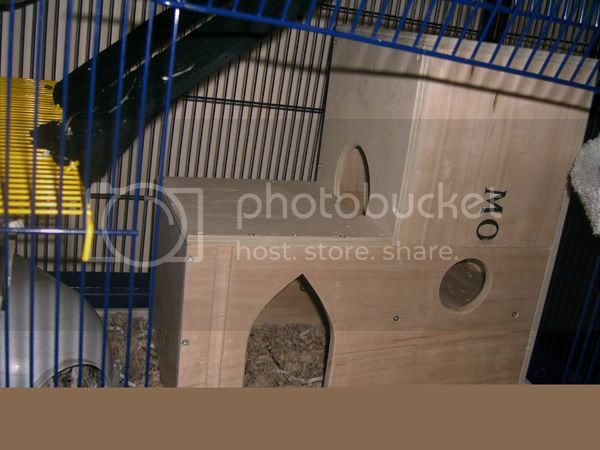 They've now been joined together and had cardboard platforms put inside and the girls love to nest down inside the bottom one. A recent addition is a nice furry nest for them to snooze in, very popular with Rosie! 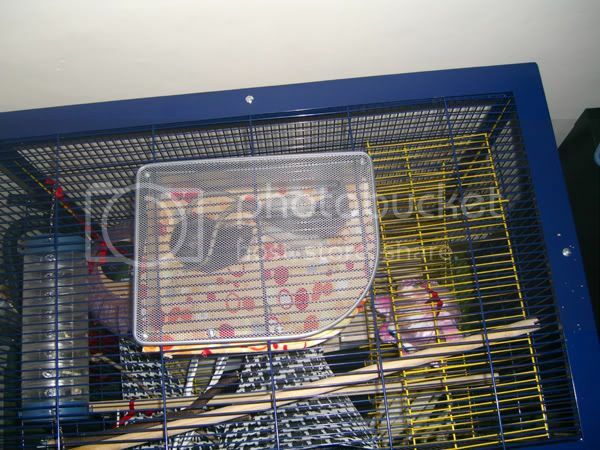 The pink thing hanging up is an old soft toy with some treats sewn inside it. Perfect for ratty pinata! 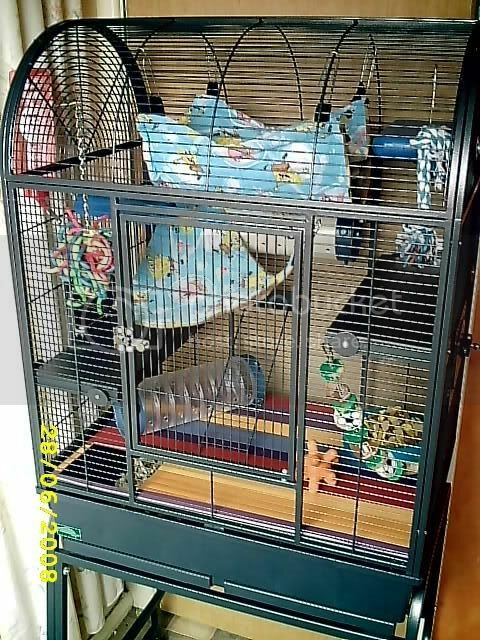 Hello, here is the boys' home....it's a Montana Parrot Cage which I have decked out with hammocks, shelves, tunnels, toys etc....the boys seem really happy...and it's really easy to clean. 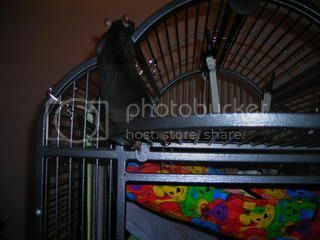 My rat cage for 10 of my rats! 80x60x150 cm. 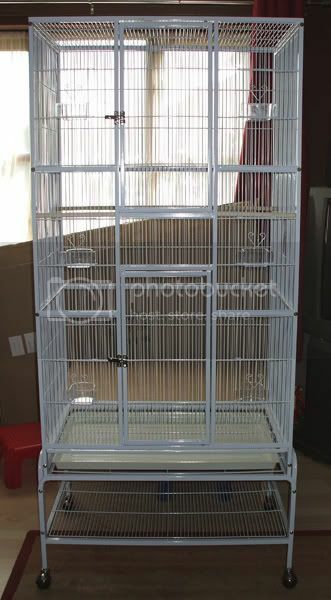 100 cm actual cage, 50 cm for storage. It's on wheels so I can move it around ^^ It has one large door on the left and two smaller ones on the right. 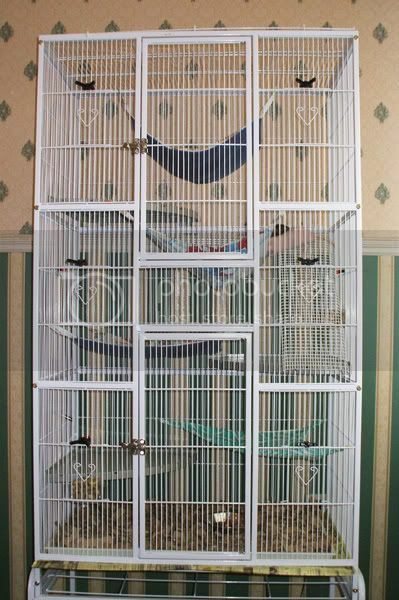 I chose to have two smaller ones on the right so I could hang a Ferplast platform or hammocks there It has one platform installed, made out of trespa, at 80x30 cm. Done xD Not the best layout ever, but it'll do for now, the boys are pleased and so am I. Starting off with what i got today! .. I love it,... Strangly enough i think of ratty camping when i look at it, .. but they LOVE it! 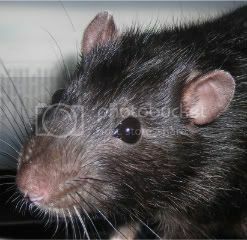 .. Rat pile up as we speak! 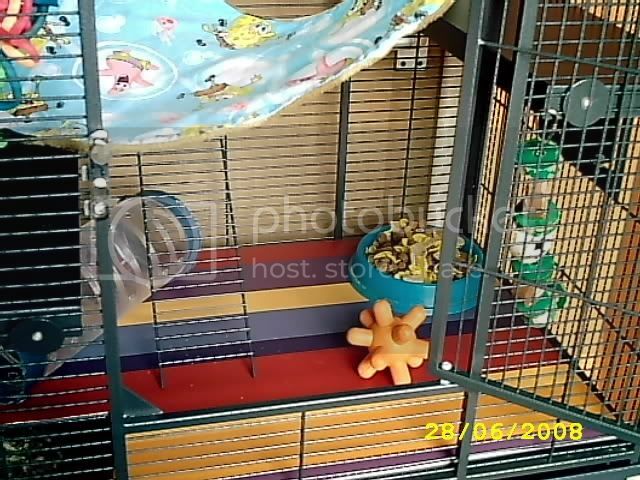 Close up of boys cage! 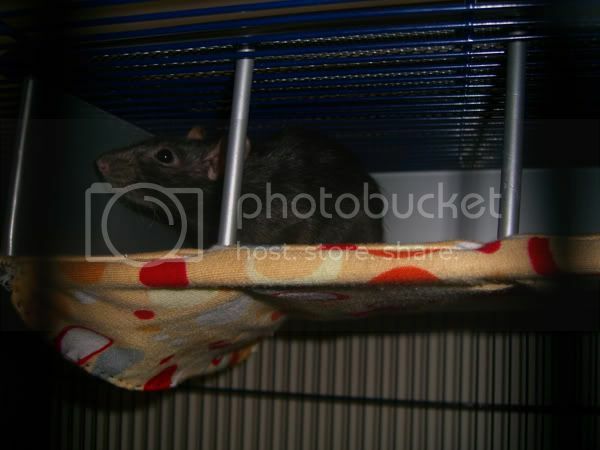 And Lily enjoying a hammock! 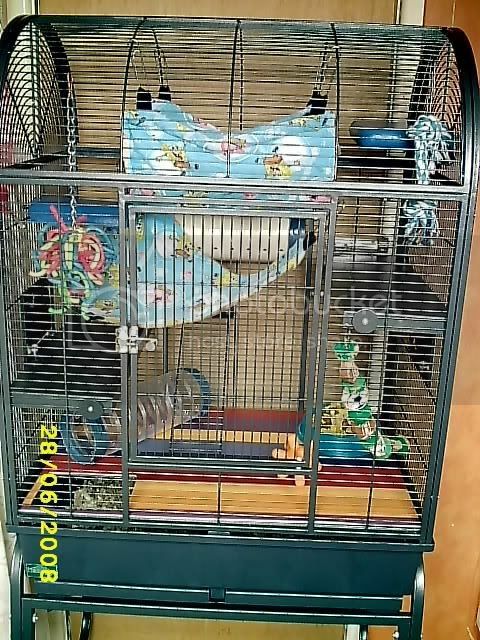 New cage! Cost a fortune, but it'll last a very long time and is definitely worth it. 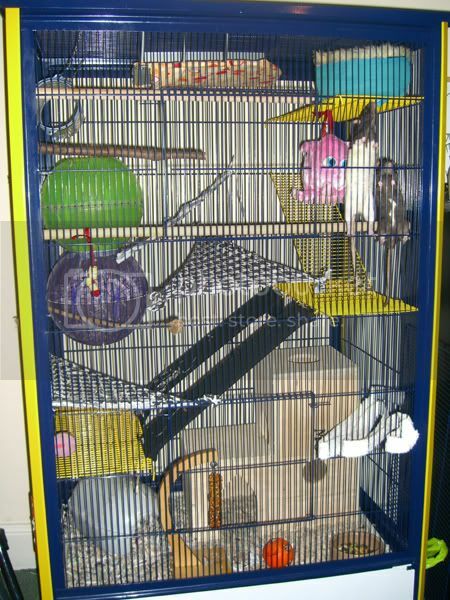 It's meant to be a bird cage but it works more then fine for the ratties. And it's so easy to clean! There's a tray in the bottom that slides out easily. It just needs to be dumped and wiped down daily and the bars are wiped down and the hammocks are changed every couple weeks. The whole front is a bay window and it opens right up. 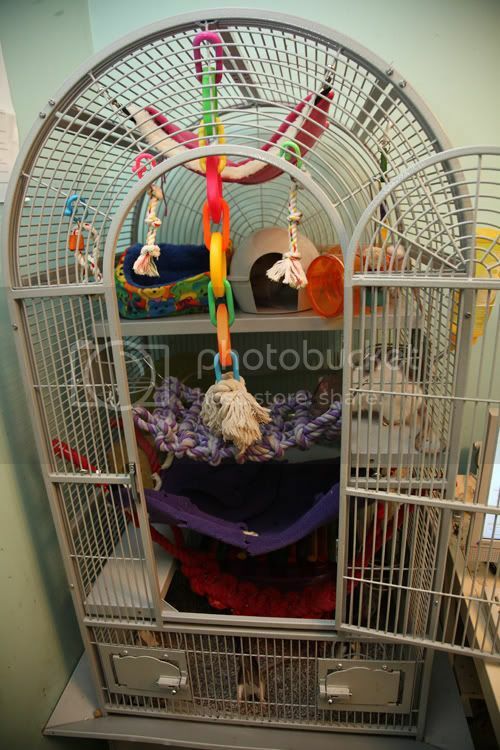 The whole top opens up and there's two great big doors on the side and two smaller ones where the food and water dish go. I love it so much! And so do the ladies. I love that it's on wheels too, in the summer I can wheel it out onto the porch and sit with them. It's still looking a little sparse, but I've been getting my mum to make me hammocks like crazy. I'm going to put a big open one on the top. If anyone has any ideas for big things I can put in there that'd be great. 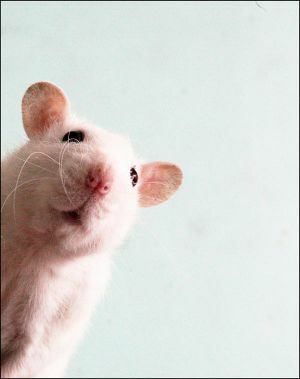 I have male rats, yes, why do you ask?